1. Edit. Modern condos typically have a smaller footprint with limited space. Adopt a less-is-more philosophy with accessories and decoration - two to three important pieces make a stronger statement than 10 average ones. 2. Balance. A balanced room is more pleasing to the eye and will feel more harmonious. If space doesn't allow for perfect symmetry, balance an object like a chair, which is physically large, with a smaller piece that has more visual weight, like a colourful painting. 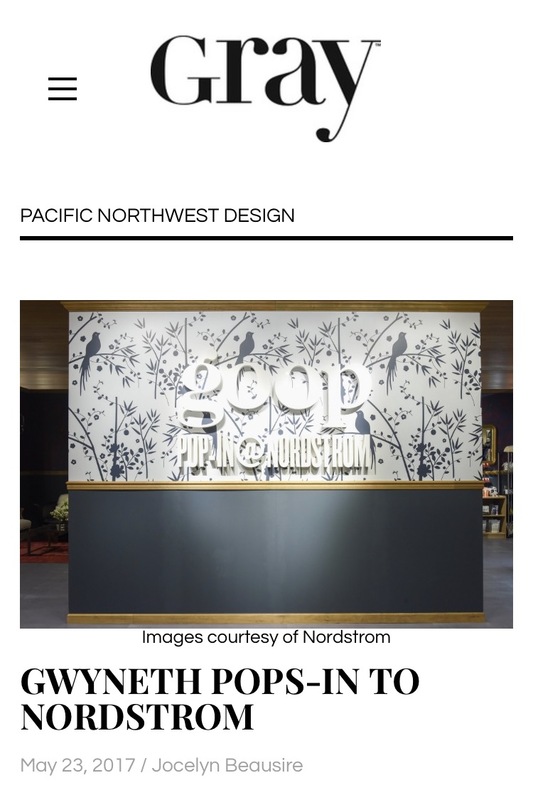 '...In addition to the wellness-themed items, the pop-in also features branded accessories and apparel (the “Goop University” sweatshirt is a sure sell-out item) as well as home decor items, and vintage furniture curated by Vancouver interior designer Jamie Pryde. Paltrow’s best-selling cookbooks are available, too, and feature well thought-out and executed recipes—a far cry from so many other celebrity cookbooks. Consider it all an opportunity to drink the Goop Kool-Aid. Or in this case, kombucha." 'A young Jamie Pryde was sitting in rendering class at BCIT, where he was studying interior design, when suddenly his phone started to ring. Amidst a sea of working students, he picked up the call. The person on the other end of the line was the assistant to famed architect Peter Marino. Aside from dealing antiques, Pryde works with a select few contemporary designers including Vancouver’s Kate Duncan and Propellor, and Calgary’s Amanda Hamilton. The Edit operates through e-commerce (a function that allows the company to remain a small operation even while selling to the likes of the aforementioned Marino), and also has a showroom located downtown. When he’s not curating for The Edit, Pryde is working directly with Vancouverites to design and decorate their living spaces. “I think it’s important, just as with fashion and dressing yourself, your interiors have to be a reflection of yourself,” he says. His advice for those changing up their interiors? “I think if you’re questioning it, it’s wrong,” he counsels, and adds that you should trust your gut. - Blend styles and never go for “matchy, matchy” items. - Rooms should look like they have been organically designed. “A room should reflect the owner’s personality and be authentic,” he adds. Tommy was delighted to see someone from a younger generation with a great eye and an interest in antiques. Pryde’s The Edit has been online and is now setting up offline digs on Howe Street. Jamie appeared on The Marilyn Denis Show with Tommy Smythe (Design Inc., Sarah's House) and Orlando Soria (Home Polish) during IDS West 2015. Jamie discussed his gallery The Edit and the importance of authenticity in design.